The third instalment of the DC Movie Universe, Suicide Squad comes to us from yet another relatively new talented director / writer. This seams to be a trend in Hollywood at the moment. Instead of having big name artists behind the biggest films to the year, Hollywood seams to instead be hiring budding new talent who are on the rise after some impressive, if only a smattering, of lower profile movies. Why this is such a thing nowadays is unknown to me. Maybe big name directors are more focused on their own original projects and are harder to get involved in the large boardroom movies, or maybe it is an attempt to ground the projects with younger directors in hope that the films will better connect with youth culture. Regardless of the reasoning at the upper management levels this approach seams to be fraught with danger. The recent implosion behind the scenes of "Fantastic Four 4: Ultimate" seams a prime example of what can happen when tapping talented but unproven creators. This leads to many new films feeling like a huge roll of the dice for the audience. We never know exactly what we are going to get. We as comic readers know the characters and settings, but there is little if any expectation or trust in the creative teams behind the films we go and see. David Ayer has one of the more impressive resumes you see for a creator of this type being tapped for a blockbuster. Like other DC film makers he is a writer / director combo and in my mind directors that write their own films are usually vastly superior to those that simply are given a script to produce. His big break came by writing Training Day which is pretty much universally praised and then writing and directing some notable films like Street Kings, End of the Watch, Sabotage and Fury, which while all good are also all cause for debate when talking about quality. The thing is : Can a director with creative vision ever really produce a film that has to, by definition, conform to preconceived notions. Is hiring director / writers with strong artistic chops and then demanding they stay inside the box of these very well defined characters the best way to go about making these films. 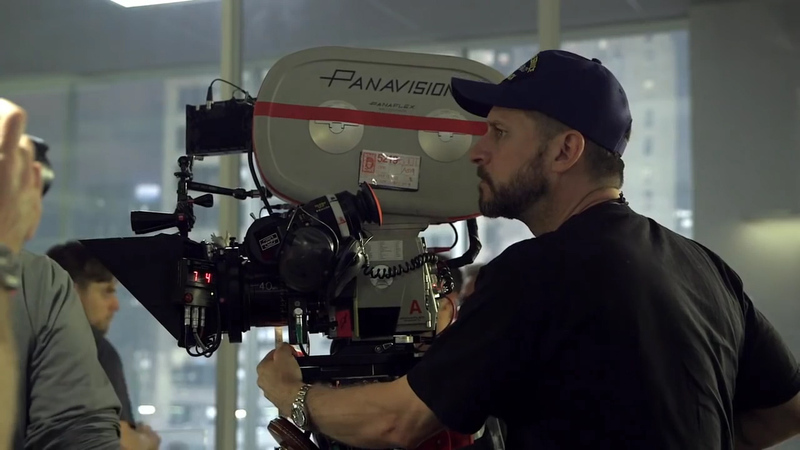 The lack of freedom due to using preconceived settings and characters in some ways appears to be in direct conflict with the idea of getting young creatively rich people like David Ayer in the first place. Again the prime example of this is the fourth Fantastic Four film. I do not think it is a coincidence that the majority of the greatest comics from the DC library are outside of cannon, where the creators have freedom to stray from the settings we know so well. Suicide Squad is a hard creature to wrangle. It has eleven major characters to introduce, it has to also set up the concept itself and then actually get to the meat of the movie, its plot and character interactions. There is a incredible amount of work to get done and the resulting restrictions on David Ayer are extremely oppressive. There is simply no time for him to really experiment with the characters and develop them in any deep or creative way. 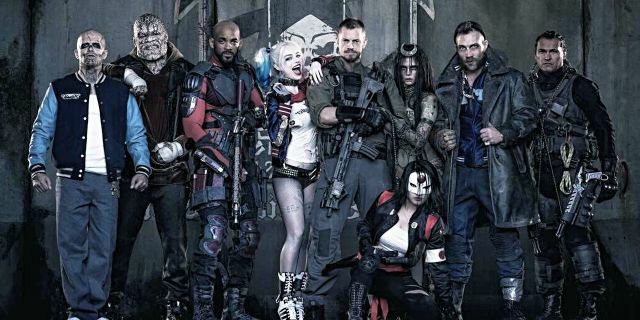 WB's decision to skip individual film introductions means the Suicide Squad is not free of the time consuming character developments that the MCU 6: Avengers Assemble could simple not worry about. So the film takes a little time to get running, as you would expect in a film with so many characters. It uses many of the ideas I first saw in the Dirty Dozen, as in there is a series of nearly unconnected introduction sequences for each major player. 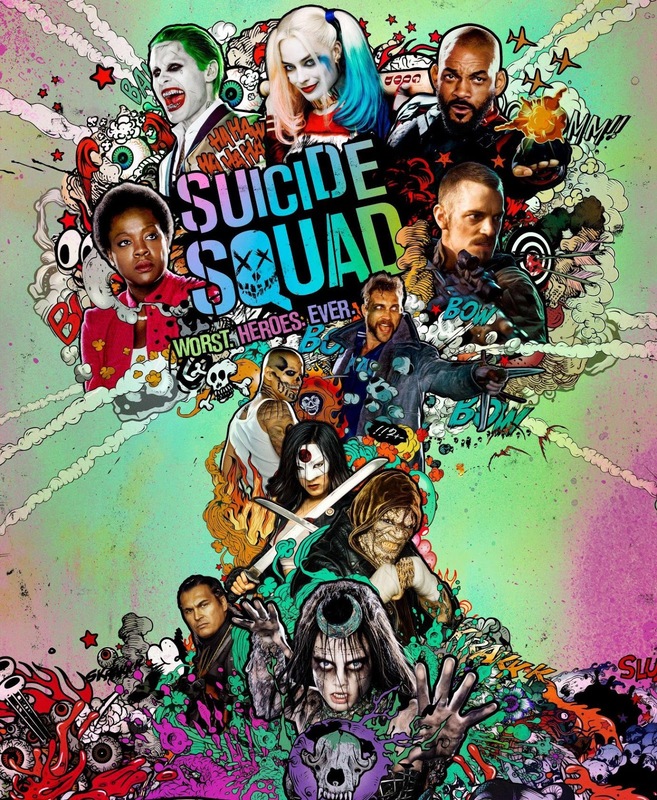 This small intro section of the film is part of the Suicide Squad "stamp". Again, another restriction that comes directly from the comics. While this is a completely necessary step for the film those who are impatient will feel the time moving with little actually getting done. Tarantino, a director known for large casts of main characters got past this problem in films like Reservoir Dogs by having all the characters but a chosen few have no pasts at all. As if they only popped into existence when the film started and then they shared past experiences in conversations between characters to reveal small parts of their backstory and only one character getting any real deep background. Suicide Squads largest flaw is the way the character personalities and introductions are handled. Time is spent introducing each character and developing them, yet there is no real time to really go deep into any of the stories to produce real connections with the viewer. Added to this is that some characters get more attention than others and some are completely ignored and could have simply not been in the film at all and no one would have noticed. Well, until the squeals. Like all comic films the requirements of the franchise, beyond the film we are actually watching is a weight upon Suicide Squad, it is a weight on the narrative of the film, dragging the entire movie down. It is actually a weight on all modern comic films regardless of who is making them. Nearly all comic films suffer form this problem and I mentioned this same point on both my BvS and Ultron review. The good news for comic fans is that none of this particular problem is really that much of an issue for we as comic readers are very familiar with this characters. Jokes arising form the interplay of personalities and character motivations are not lost on us as they would be to first timers to these characters. So however briefly the characters get to shine is enough for fans, though as mentioned some of the characters get so little screen time it is a wonder they were included at all. It is no surprise that one of the greatest auxiliary character in DC Comics is one of the best things in this movie, Amanda Waller. She is the linking all these introductions and characters and is the glue of this movie and provides much needed structural support for the films narrative to revolve around. With eleven characters I will not speak to all of them but I feel that she is one that requires special mention, for even more than Harley or the Joker or anyone else. Amanda is actually the indispensable woman of this film. You could make huge cuts in this film, removing entire characters, subplots or shifting focus form one character to another, but she is a tent pole and played perfectly by Viola Davis. That being said I can not pass up mentioning the new Joker. Now this is a contentious point and brings me back to my original musings about what it is we are expecting from these film makers. Are we looking for by the numbers reprints of the comics or should we expect them these people to be the creative minds they were originally hired for. I personally feel a great affinity to the DC Comics, Superman and Batman particularly, and in my mind this Joker is actually much more aligned to how I think of him. The "Clown Prince of Crime" was originally a crazy gangster and always was for the majority of his time in comics. People that think of a guy making silly jokes and throwing pies spent to much time watching cartoons instead of reading comics. Now admittedly I prefer the darker side of comics, but Leto's rendition of the Joker is brutally fantastic. The Joker is one of those characters that has been imagined so many times by so many people that there is no accurate consensus to what he is supposed to be. Is he a Chaos Imp sewing discord, is he a Clown using giant springs with boxing gloves on them, or is he a psychotic criminal freak? Dose he have scares? is he wearing lipstick? Is his skin stained? Or is his hair actually green? These and all the other questions are answered the same. Yes. He is all those things. 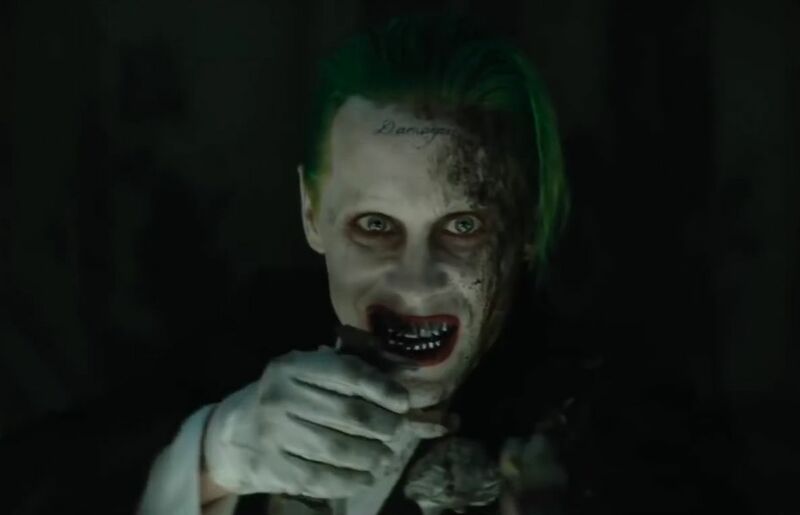 I can not believe anyone can look at this Joker in the film and not see "The Joker". There are many comics that you can point to that are nearly identical and clear inspirations. Brian Azzarello "Joker" as an example. So obviously there is a contradiction here. 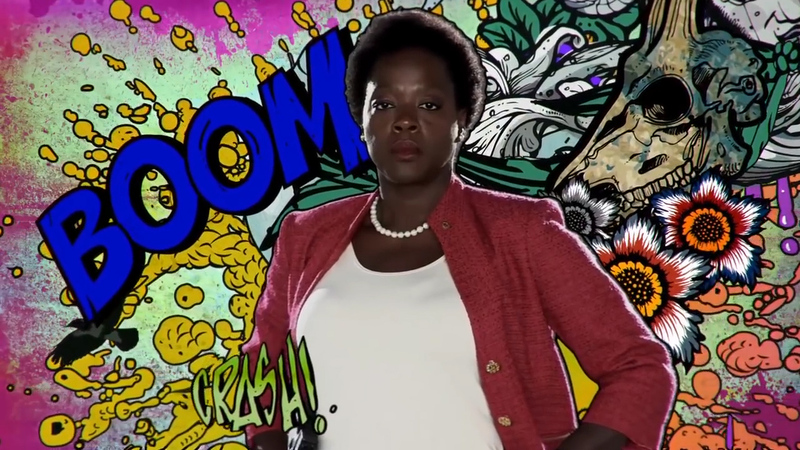 Amanda Waller is nearly a carbon copy print from the comics, yet the Joker is a much more "adapted" version. Yet there is a creative step here by the film makers to produce a Joker and a film that is new and different form that which we have seen. These kind of creative decisions are why we have people like David Ayer and fantastic actors like Jared Leto in the first place. Amanda Waller hasn't herself had a series of mainstream blockbusters in the public consciousnesses, not like The Joker. Not like Lex Luthor. And here is the real crux of this film. In my mind it is easily in the top 10 of the best comic films of the modern era but its problems are derived form the ambition of the storytelling. We have character introductions, relationships to form, back stories, red hearings, a master plot, a sub plot with Harley and the Joker and during all of this structural work there needs to actually be a film which at its heart is Dirty Dozen, Magnificent Seven style buddy movie requiring lots of character interaction. Deadpool is a great example of how to make a film in this genre and build it smaller so you can do so much more. I mean there is a lot going on in Suicide Squad and it just can not cover all its bases. You have some extraordinarily talented actors doing their thing and vast amounts of footage sitting on the cutting room floor where no one can see it. Like Batman vs Superman there is a feeling that we are missing much of this movie. While this film is in a much better state that BvS was on release, in some ways I feel that I have not seen Suicide Squad yet and I am certain there will soon be announced a longer cut that will not have some of the glaring holes that plague the theatrical version. Even in the trailers we saw entire sequences that didn't make it to the final movie and I can not talk specifics without spoilers but there are some glaringly missing sections. Nothing that slows down the story or the plot, but the story and the plot is not the point of a movie like this. That being said this is not a bad film by any stretch of the imagination. For all its faults this movie is extremely fun. Not as sickeningly saccharin as some of the Disney films nor is it as incoherent as some of the X-Men films from Sony and it is a definite improvement over Batman vs Superman, a huge improvement. Suicide Squad also manages to retain some of the harder edge that WB has been trying to muster. With all their films making either decent bank or in the case of Suicide Squad tremendous amounts of money there is obviously a market of viewers that are really enjoying what WB is doing. Anything more focused and unique will appeal to less people, that is not a problem. People complaining and not liking the films is not an issue when the films are some of the most successful movies of all time. WB needs to identify the market size of the people that are into their films as they are now and commit to them. It would be a huge shame if there was any significant tonal shift in the DC films at this stage as we the fans are starting to know what to expect and there is a separation between WB and the other two studios which creates a fandom all its own. You can not be great and still be loved by everyone, I do not care how many albums Justin Bieber sells and how much his fans hate Primus. Primus is a legend in their own right. VERDICT - HIGHLY RECOMMENDED, WITH A WARNING.